Are you looking for a professional gardener in Mornington Peninsula that you can trust? 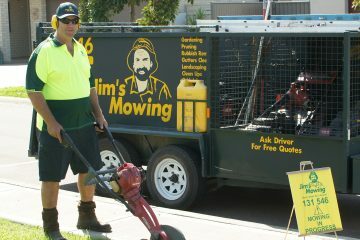 For over 30 years, Jim’s Mowing have been helping Australians to transform their lawns and gardens and we can help you too. We are passionate about providing our customers with a personalised and reliable service backed by expert knowledge. When you call on Jim’s Mowing, we guarantee a service that is second to none. Is your backyard, shed or garage looking like a war zone? Whether it’s a big spring clean or a tidy up before the Christmas holidays, no job is too big for too or small for our dedicated team. 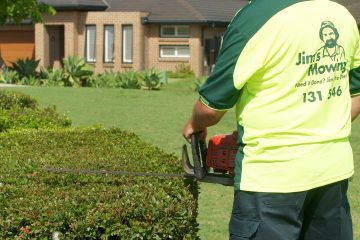 Jim’s Mowing can remove hard and green refuse as part of our affordable rubbish removal services, or do some routine maintenance like tree trimming and pruning to let the light back into your garden. Do you know what you need to do in your garden to be bushfire ready? In bush fire prone areas like the Mornington Peninsula, you can call your local Jim’s Mowing professional to help you be prepared. Protect your family and your property by calling on Jim’s Mowing to clean out gutters and downpipes, cut down overhanging trees and keep your lawn mown regularly. Whatever needs to be done, you can count on us. A beautiful and well-maintained garden is vital if you plan to attract prospective buyers. 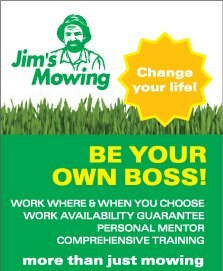 Before you put your property on the market, why not ask Jim’s Mowing to give you an obligation-free quote on our services. We can can assist by doing everything you don't have time to do - lawn mowing, removing rubbish, weeding and mulching, maybe even improving an outdoor space with landscaping. Your property is sure to stand out from the crowd. Many jobs in the garden can be potentially dangerous, especially if you are unsure how to use tools and equipment or are scared of heights and ladders. Many garden activities can also be highly strenuous on bad backs. If you don’t want to risk it, we can take the job off your hands. With Jim’s Mowing on the job, you can have guaranteed peace of mind knowing all our professionals are highly trained and covered by liability insurance. Who wouldn’t love to come home to a relaxing garden without doing all the hard work? Healthy plants and trees that attract birds are not only beautiful to look at, they can be a great stress reliever too. With help from Jim’s Mowing, you can finally enjoy a beautiful garden without having to lift a finger. 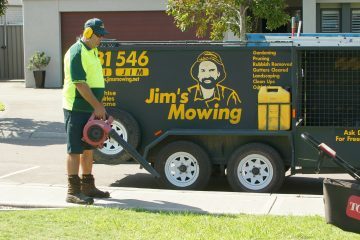 Jim's Mowing – Mornington Peninsula. Welcome to Jim's Mowing Mornington Peninsula. Our comprehensive services include more than just lawn mowing. We can assist with your garden makeover and landscaping, garden care, rubbish removal, gutter cleaning and more. No matter how big or small, if you need help getting jobs done around your home and garden, contact us today for an obligation-free quote. Spring Garden Maintenance Made Easy!